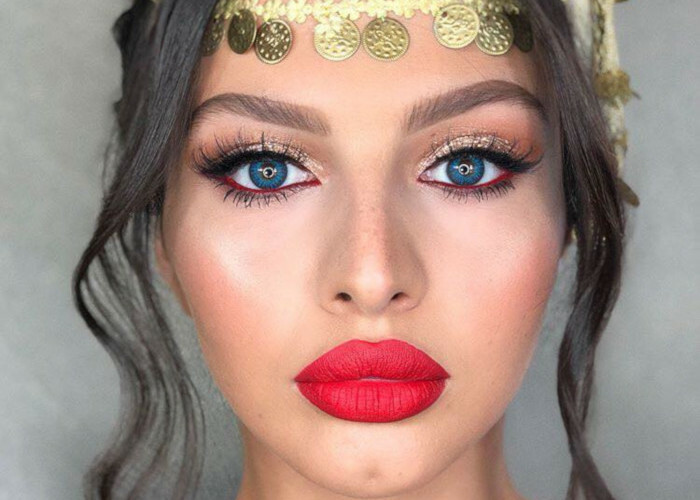 The boldest new	beauty trend on Instagram is	yellow blush. Although	most	girls choose to keep it natural with	rose or peach shades of blush, others get very excited every time an unusual trend like	this one comes up. Many famous Instagram and beauty bloggers are trying the mesmerizing yellow blush trend and are getting great results and feedback. It seems that	Rihanna, the queen of everything, once again set up a new craze. The star’s makeup artist Lora Arellano used a technique known as “draping’ when applying her blush for the	Met Gala. Basically, this technique “drapes” the contours of the face ‚Äö√Ñ√∂‚àö√ë‚àö√Ü blush is brushed from the outermost corner of the cheekbone and temple to the apple. This is the same technique that makeup artists and vloggers are using to apply the yellow blush now (and, interestingly, it was also very popular in the seventies and eighties!). With the great popularity of highlighters it looks like most people forgot the importance of blush to create a beautiful look. This new experimental style only shows that blush can be a very important part of makeup, and with a little creativity it can bring a big change to someone’s look. Yellow is expected to be one of the greatest trends this spring, especially among beauty bloggers. Although there is not an official yellow blush available in stores, the product to use is a yellow eyeshadow. 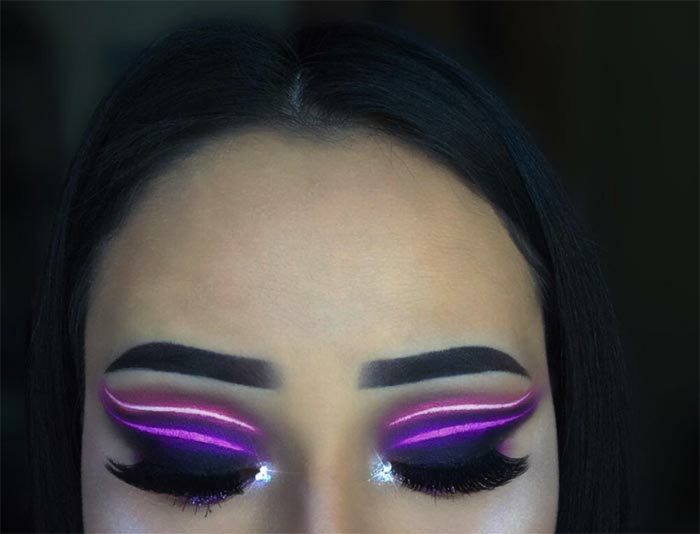 Vlogger Stella Julian used the Sugarpill Burning Hearts Pallete’s “Buttercup’ eye shadow to create her look, while makeup artist Ash Meredith used the Melt Cosmetic Eyeshadow in “Neon.” In other words, any yellow eye shadow will work. Some of them are combining this blush with bold yellow lips and eyes, while others mix it with contrasting tones such as blue and red. I drew a line, I drew a line for you, Oh what a thing to do, And it was all yellow üéµ . ————————————– Face: @wetnwildbeauty Photo Focus Foundation Eyes, Lips, Blush: @sugarpill Burning Heart Palette with @nyxcosmetics_indonesia JEP "Milk" as base Lashes: @thewlashesofficial "Paris"
According to makeup artist Katie Jane Hughes, the yellow color is a universal tone that is very flattering to any skin color and will make your look radiate with freshness and brightness. “Yellow is peach and brown’s long lost sibling,’she said	during an	interview with Allure. It is very easy to experiment with different eye shadow and lipstick colors, and now beauty bloggers show that by simply changing the blush color they can create a bright and bold makeup trend to die for.